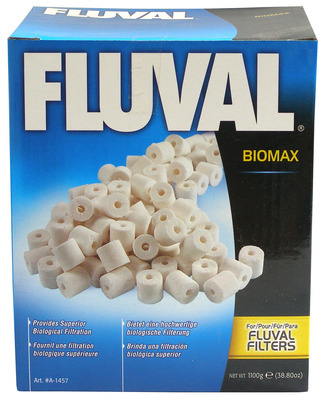 Fluval Biomax bio rings have a complex pore system where benificial bacteria can thrive. BioMax bio rings allow ideal water movement throughout the media,to ensure optimal contact time for efficient biological filtration. Optimal environment for benificial bacteria. More capacity than most biological filter media. Reduces and controls ammonia and nitrite. For fresh and marine aquariums. Premium select media for use in Fluval Canister Filters ,ideal for all filters.